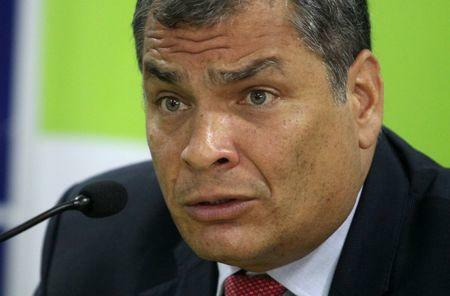 National news agency Belga cited unidentified sources saying that Correa, who now lives in his wife's native Belgium after governing Ecuador for a decade, had applied for asylum. Le Soir newspaper cited a report that he had lodged the request in June. A lawyer for Correa, Caupolican Ochoa, said that was not true. "The news that has been spread does not correspond to the truth," he told Reuters. "There is nothing about asylum. A moment ago President Correa told me there was not a request." The leftist Correa gained international prominence when Ecuador granted asylum to WikiLeaks founder Julian Assange, who has spenr the last six years living in the country's embassy in London after being investigated over sexual assault in Sweden. Belgium has gained a reputation for being reluctant to extradite people claiming political motives behind their prosecution. It was a reason Catalonia's leader fled there last year as Spain sought to arrest him after the regional government organised an independence referendum.